A mere darshan of the saints washes away all the sins. For every word that Baba spoke was a mine of deep significance. What Baba uttered were not merely words, but were the "Brahmalikhit", not a word of which was in vain and would come true at the proper time. As is the faith, so is the fruit; as is the faith, so is its power. Sai's words will never be futile and it was his Promise that he would fulfil the wishes of his devotees. "Stay where you are and just ask me! Why do you needlessly roam the woods and the wilds searching for answers? I will satisfy your desire (for knowledge). Have this much faith in me. "My presence fills everyone; there is no place where I am not. And, for the devotion of my devotees, I appear to them anyhow, anywhere. " 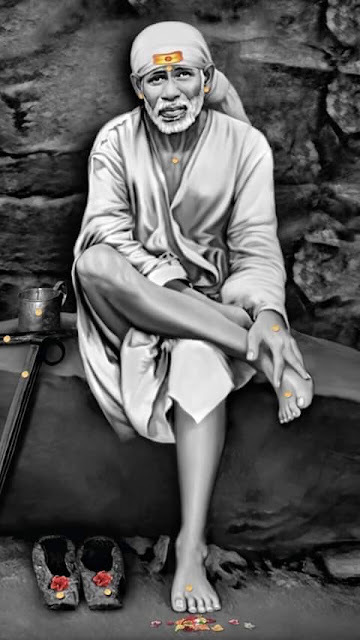 Without leaving Shirdi all his life, he yet appeared to his devotees anywhere and everywhere. Chapter - 20 Shri Sai Satcharita.